Our lesson today is Ruth. There is a science board visual that you can download. 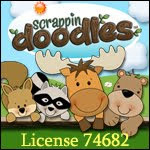 It can be used for a bulletin board, magnetic board, etc. Also a chart for the students to use with the visual is available. I made a cute basket with knowledge cards. You can make them for the students, or make one to use for review. The grains on the tops of the cards are directional to help with matching left and right. But, Ruth replied to Naomi “Please do not make me leave you. ‘For wherever you go, I will go and wherever you lodge, I will lodge.” Naomi saw that Ruth wasn’t going to change her mind so she quit trying. Naomi and Ruth left Moab and traveled to Bethlehem. It would have taken them about 2 days to travel. It was also the beginning of the barley harvest in Bethlehem. 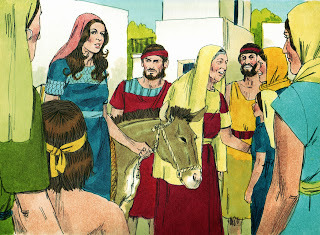 (Chapter 2) There was a very rich man who was a relative of Naomi’s husband and his name was Boaz. Ruth went to the fields to gather grain for bread. It was a custom for the wealthy land owners to leave some extra on the fields for the poor people to gather. I laid out this sandy colored felt on the floor and asked church members if they had some grain I could have for class. I threw out the grain and let the kids pick it up like Ruth. I used the basket and the grain you see for my visual. I carried the basket, and picked up the grain as I talked. I purchased the grain at Michaels during the Fall. Ruth worked hard, all through the day and didn’t stop to rest very much. Boaz saw her in his field and asked the servants who she was. The servant told Boaz that she is the woman that came back with Naomi. Boaz went to Ruth and told her to stay in his fields to pick up grain and to stay close to his workers. 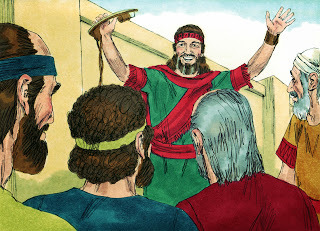 Boaz explained to Ruth that he told his men to stay away from her and that she could drink from his water. Ruth asked Boaz why he was being so nice to her and Boaz told her that people had told him about all the things she has done to take care of Naomi. Boaz asked her to eat a meal with him and when they were full, Ruth went back to the fields. Boaz told his servants to leave extra grain in the field on purpose for Ruth to pick up. She worked until evening collecting the grain. Naomi asked Ruth where she worked that day and Ruth told her about Boaz. Naomi told Ruth that Boaz was a relative and it was a blessing that he noticed her and was protecting her. Ruth kept going every day to the barley fields until the end of the harvest. 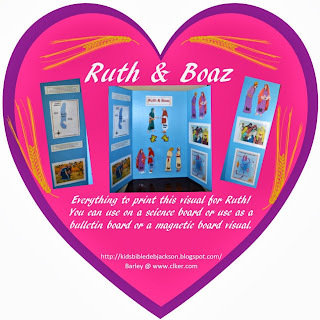 I used this science board for this lesson on Ruth. Everything you need to make this visual is in the download. You can use the printables as I did, for a science board, or you can make a bulletin board or magnetic board. As a visual board, I used sticky Velcro to attach the pieces so I could remove and add the people. You will see in parentheses what I did during the lesson. You can print it here. 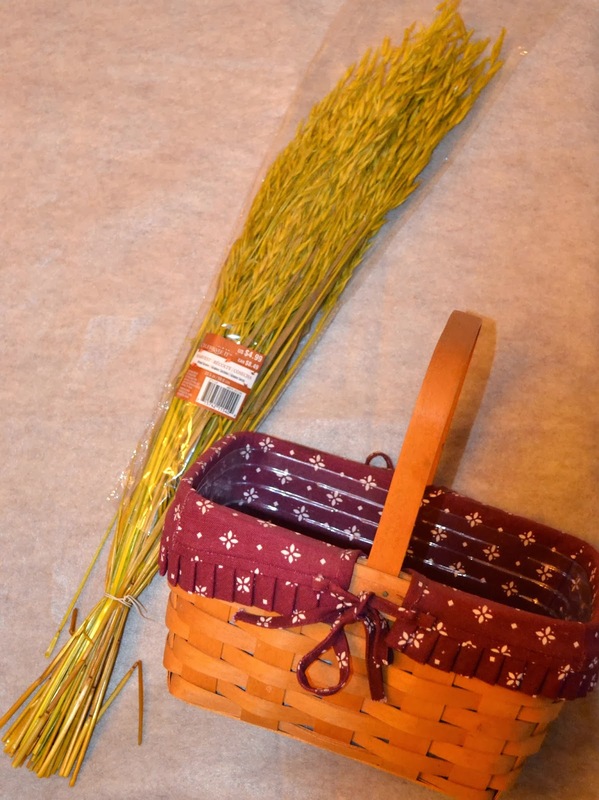 There is a basket for the Fruit of the Spirit lesson and it was on Pinterest. Someone had left a comment that it would be nice for Ruth. I commented back that I would try to make one. I actually remembered as I was working on the projects for this lesson. So, you can print the basket to use (you print two and it makes one basket), or you can use a disposable bowl, or a basket, a baggie, whatever you like. I made the cards to use as a review. The kids will read the left statement and match the correct answer on the right. You can tell by the direction of the grain if it a left or right card. Click here to print it. I created this chart for the students to use while I am using the science board visual. There are two choices, and they are in black & white (my kids like to color). They should all look like the finished picture above. The first one is the original I created and is intended for the students. They will cut each person out and glue it on the correct space. This could easily be a file folder game. Add a cover and pocket, and use Velcro instead of glue! Print it here. This is the choice that I used. It is the same as the above, but I added the names in the spaces for each person. For various reasons, I feel this will work best for my class. They will know exactly where to put each person. You can print it here. The next choice is intended for the teacher, but if you do not want to spend time cutting and gluing, this would be your choice. Everything is in the correct space, you just have to add Boaz with glue on the tab. Print this one here. Great lesson. Thanks for sharing with Afterschool! Thanks for hosting! I appreciate you stopping by! Thanks! This is so timely for us! We just read the book of Ruth yesterday! We're doing MFW CTG. Glad you stopped by! Thanks for the comment! One of my favorite stories of all time! 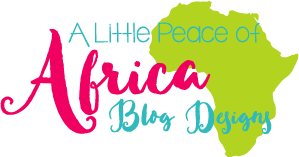 Thanks for sharing this important lesson for children on the blog hop! Thanks for hosting the linkup! I appreciate it! Thanks for stopping by! This is a great resource for teaching kids about Ruth. Thanks for the nice comment! 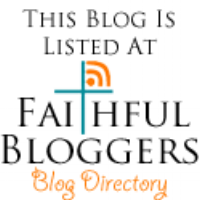 Thank you fro hosting the linkup! I appreciate it! I'm not sure my comment went through, but I was trying to print the basket and match-it cards. I clicked on the picture, but didn't get anything. Ruth totally rocks. Thanks, Debbie! Thanks Sharita! She is a great example. Thank you SO much for your incredible resources. I am so excited to use so many of your resources with my Bible class students next quarter! Just one note, when I click on the Bible Verse picture directly above, it links to the Bible Verse picture of Samuel. thank you! Thank you for the nice comment! Thank you very much for letting me know about the Bible verse. It has been corrected. Thanks for stopping by! I am glad you found items to use. Thanks for these resources, Debbie. 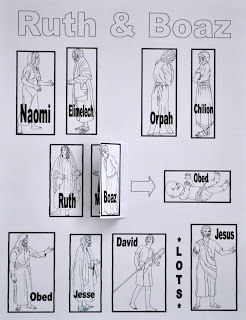 I'm planning to use your match-up cards for a relay game with my 7 & 8 year old Sunday School class. We'll divide into two teams. After each team has collected their cards in a relay race, the first team to correctly match them up will win. Thanks for sharing the idea Linda! I appreciate the comment and thanks for visiting! Thanks for these resources, Debby. I'm planning to use your match-up cards as a review game for my 7-8 year old Sunday School class. We'll divide into two teams and run a relay race to collect the cards. After the cards are collected, the first team to correctly match them up will win. These resources are great. Thank you for helping me put my RE lesson in a way younger kids will understand.